Abies is a genus of around 50 species of evergreen conifer from Europe, North Africa, North America and Asia, dominating mountainous regions. Their branches bear mid to dark green flattened needles. Abies are fully hardy although frost may damage new foliage early in the season if left unprotected. Abies prefer a position out of cold drying winds with slight shade. 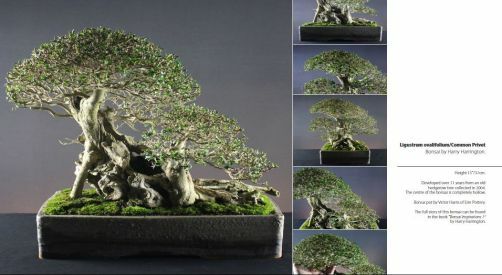 Fir bonsai are rare as the genus is not particularly well suited to bonsai and this species should be considered as one more suitable for advanced bonsai enthusiasts. Species for Bonsai: this is a list of some of the more commonly available Abies species though it is by no means exhaustive. Predominately found in mountainous regions of Central and South-East Europe reaching up to 50m in height given ideal conditions. As a mature tree has a columnar shape with a flattened top. Needles 1.5cm to 3.5cm long which last 8-12 years if left unplucked. A small tree (to 15m) found in South Korea. 1-2 cm long needles, dark green in colour with chalky-white underneath. Cones sometimes appear Oct- Nov even on young trees. New growth frost-sensitive- protect in Spring. Small, narrowly pyramidal tree with corky bark to 10metres. Has densely arranged grey-green needles 1.5-3.5cm long. Typically found in North America. Abies lasiocarpa var. arizonica/ Corkbark Fir. Has thicker, soft bark, silvery-grey leaves 2.5-3.5cm long. Repotting Every two to three years in Spring as buds appear or Autumn for young trees, as and when necessary for mature specimens. Add a small volume of organic material to inorganic soil mixes but ensure the soil used is still fast draining. Pruning Pruning and styling very similar to that of Picea species ; cut back fresh growth as it extends to produce a more compact second flush of growth and back budding from the base of old needles. Propagation From seed, air-layering, ground-layering and cuttings. Styles Medium to large sizes. Upright, slanting, cascade, literati, multiple trunk styles and group plantings.